Israel Ogunlade, a professor of Agricultural Extension and Rural Development was born the 28th September 1960 at Ipetumdu, Osun state, Nigeria. He started his agricultural career with sponsorship from Ministry of Agriculture, Oyo state as an Agricultural assistant at University of Ife, Institute of Agriculture Research and Training, School of Agriculture, Akure where he obtained Diploma in Agriculture at Distinction level in 1981. He obtained B.Agric and MSc in Agricultural Extension and Rural Sociology from Obafemi Awolowo University in 1987 and 1991respectively. He obtained PhD in Agricultural Extension and Rural Development in 2002 from University of Ibadan. 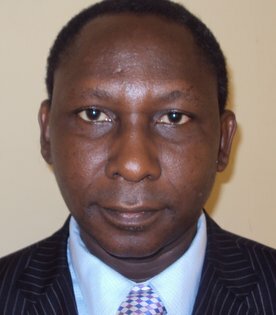 He joined University of Ilorin as an Assistant Lecturer in 1992 and rose to the post of a Professor in 2014. He has numerous administrative experiences both within and outside the university. He has traveled wide in his bid to acquire and share knowledge with other Agriculture professionals in the world and has enjoyed sponsorships and scholarships to attended several conferences, workshops, seminars and trainings both within and outside Nigeria. His headed the team that won a huge competitive grant from African Forum for Agriculture Advisory Service(AFAAS) to train volunteer extension service providers in Edu and Patigi local government areas of Kwara State to increase access to extension services and boost agricultural production. He has subscribed membership to many professional organizations and he is happily married with children.